Social media is one of the fastest ways to get your message out there, create an impact, build an instant connection and make insanely easier sales. This Checklist will give you my 5 simple steps to get up and running with social media so you can grow your business in a breeze! 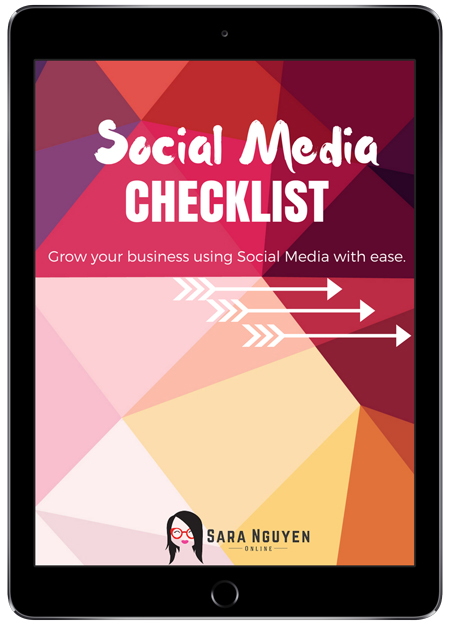 Enter your email to download your Social Media Checklist! Sara Nguyen or this download is in no way affiliated with or endorsed by Facebook, LLC.